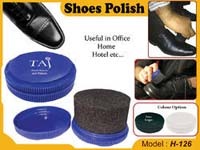 Office Utility Products form an important category in Corporate gifting. 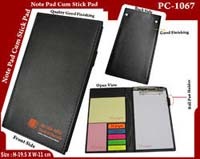 Stationery Kit, Clip Dispenser, Photoframes, Life time Calendars, Stickon pads, table tops are all available with variations and wide varieties. 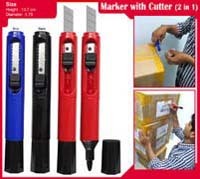 This is Marker with Cutter (2 in 1). 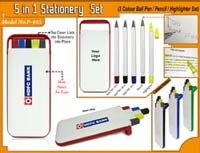 3in1 stationary kit with - A set of 1 ball pens, 1 push button pencil, and 1 highlighter. 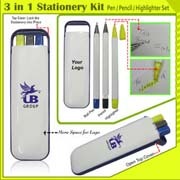 5 in 1 stationary kit -• A set of 3 ball pens, 1 push button pencil, and 1 highlighter. 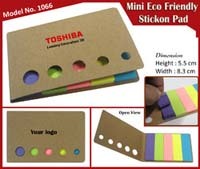 Alternative to Paper clips and Staples. 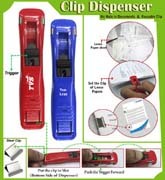 Simply push trigger to eject a clip onto paper. 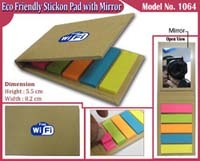 Desktop Photo frame is Multi use Promotional item. 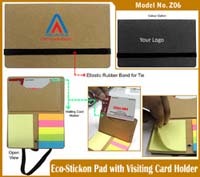 A natural choice for an Eco-friendly Stick-on Pad with Visiting Card Holder. This is computer utility item, uses for Clean Computer keyboard, Laptop Keyboard. The Life Calendar, a calendar capable of displaying any possible date The life calendar with clock a calendar capable of displaying any possible date. 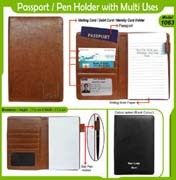 Premium Passport Holder with Note Pad. 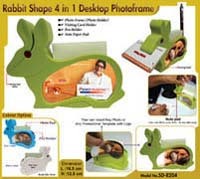 Rabbit Shape Desktop Photo frame is Multi use Promotional item. Treated foam works on any color. Requires no polish or liquid. 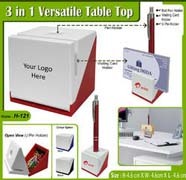 Versatile Table Top Versatile table top is specially made for promotional gift items.